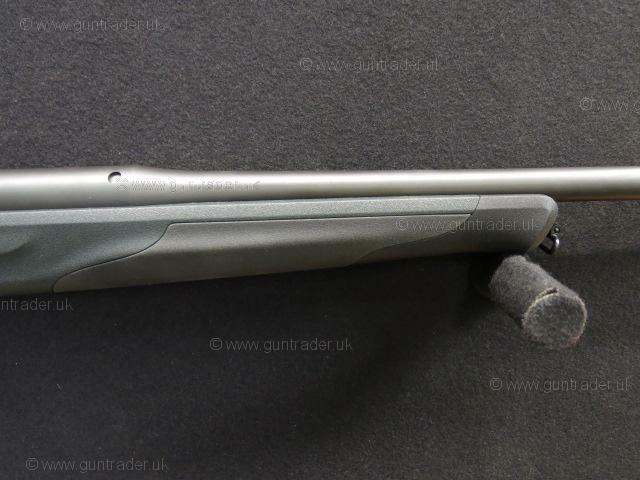 New Blaser R8 Professional Success straight pull rifle in .223 calibre. 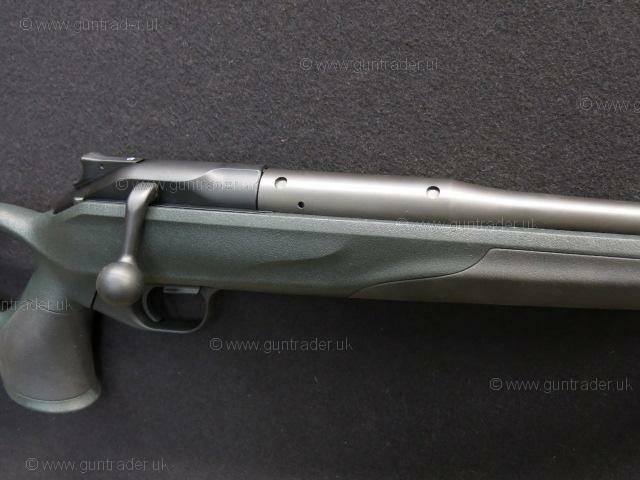 This Blaser rifle needs no introduction offering superior German build quality. 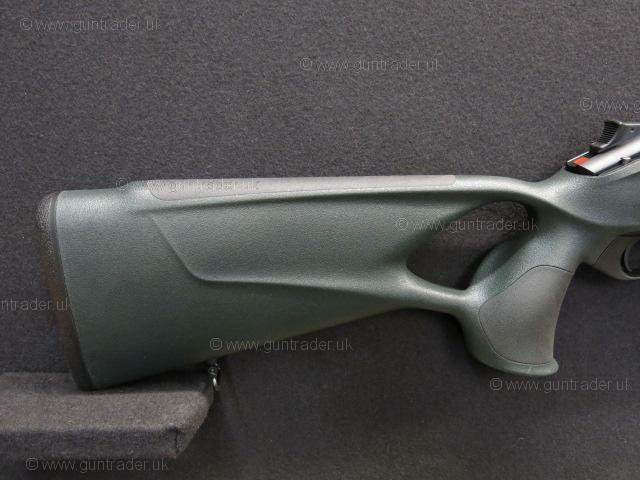 Dark green coloured synthetic thumbhole pistol grip stock fitted with a slim Blaser factory heel pad and black coloured synthetic forend cap. 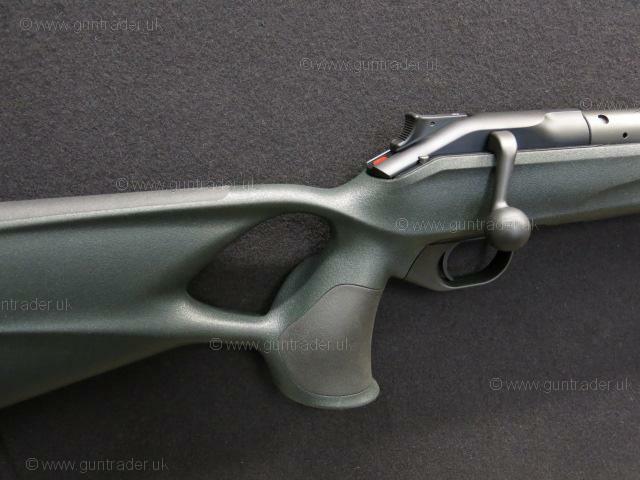 The stock also incorporates elastomer inlays on the fore-end and pistol grips giving the user a more comfortable grip together with the ergonomic design of the thumbhole stock offers one of the best handling modern rifles on the market. Blaser's straight pull action offers both speed when it comes to re-loading together with safety in mind. The safety catch at the rear of the action operates with two stages, one stage ready to fire and the second stage with the safety catch engaged completely deactivates the firing mechanism making the rifle safe. Standard weight 17mm 23" blued barrel which is screw cut M15x1 with spigot, fully detachable single stage trigger unit which also incorporates the top feeding 4 round magazine. 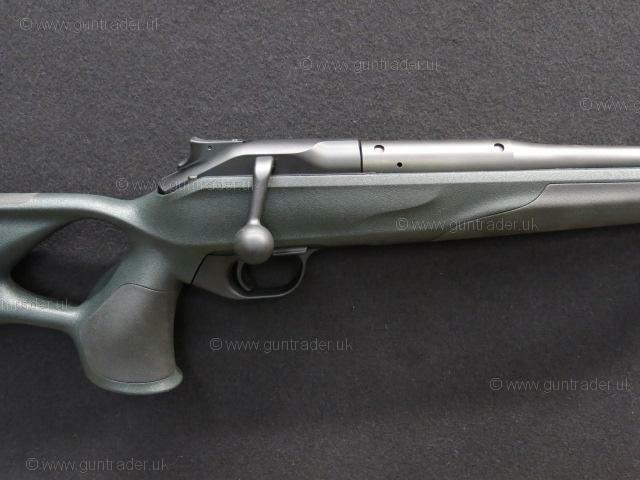 Spare barrels can be purchased for this rifle in various calibres, the use of the allen key provided allows the user to change the barrel to another barrel in a different calibre within a matter of minutes. 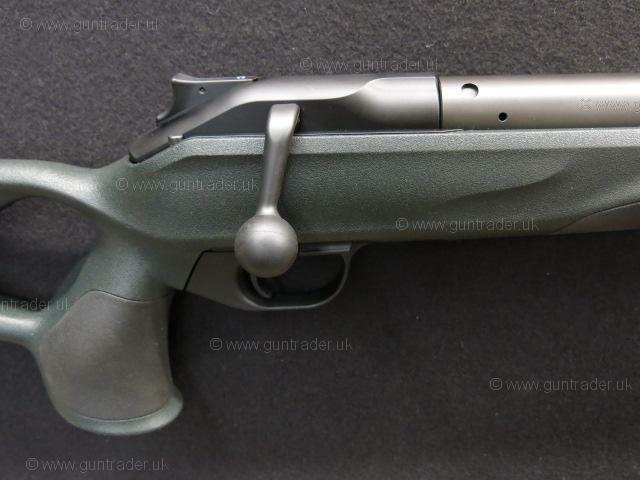 The trigger pull on this rifle is just exceptional and perfect for all hunting situations. A scope, scope mount and sound moderator discount package can be put together for this rifle at extra cost. Please call for more information or visit www.Greenfieldguns.com. Part exchange welcome, please ask about our friendly 24hour RFD to RFD transfer service if required. Many Blaser options are available to order and delivery possible within a matter of weeks if a non stock item is ordered. Please call for a very competitive cash price! Actual rifle shown in all of our photographs!